We are delighted to announce that Prometheus was awarded the ‘Silver Employer of the Year 2-49’ last week at the prestigious Investors in People Awards, 2018. 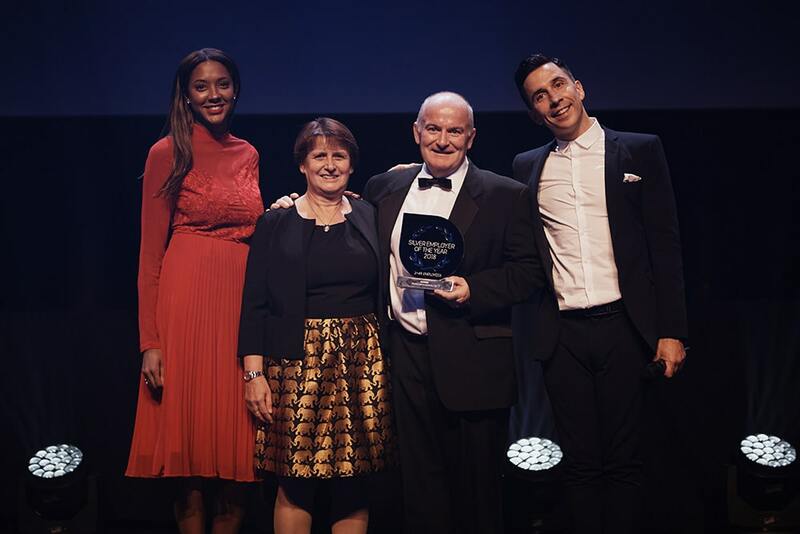 The Investors in People Awards recognises the people and teams that make a difference every day, highlighting excellence from across the Investors in People global community. There is a range of award categories, focusing on the main elements of what it means to be an Investor in People. These categories included Employer of the Year, Excellence in Health and Well-being, Excellence in Leadership and Management and Excellence in Social Responsibility. The Investors in People Awards provide the opportunity to benchmark against high performing organisations on a global scale. Dr Malcolm Russell MBE, Chief Executive Officer of Prometheus Medical Ltd, said: “Prometheus Medical is known for the calibre of the people we employ, for our team ethos and customer service, and for the drive and passion that everyone across the organisation shares. We commit to the development of the talent within our company and feel that by doing that we will achieve the best possible results.